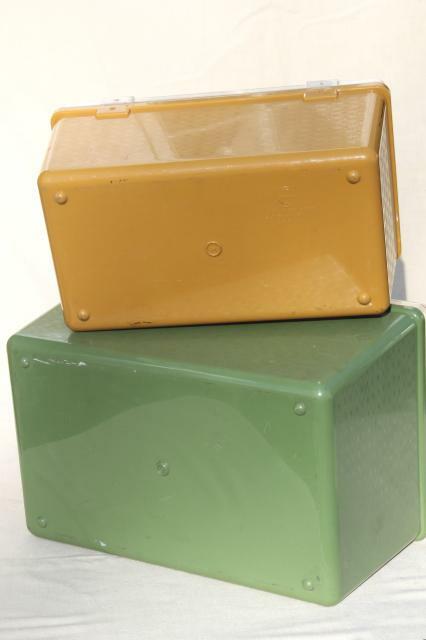 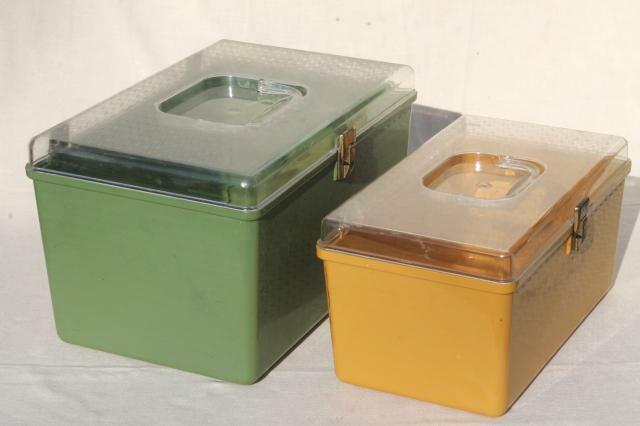 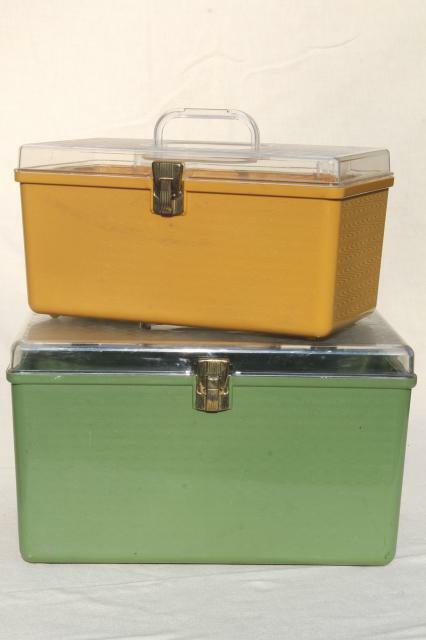 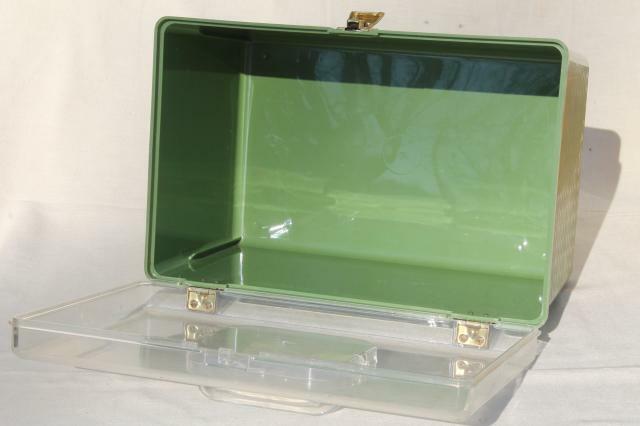 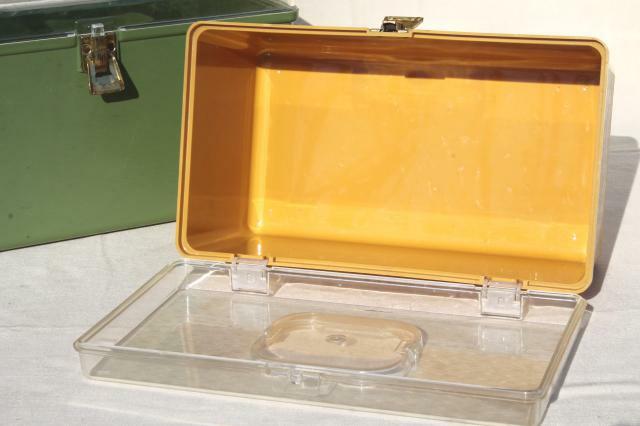 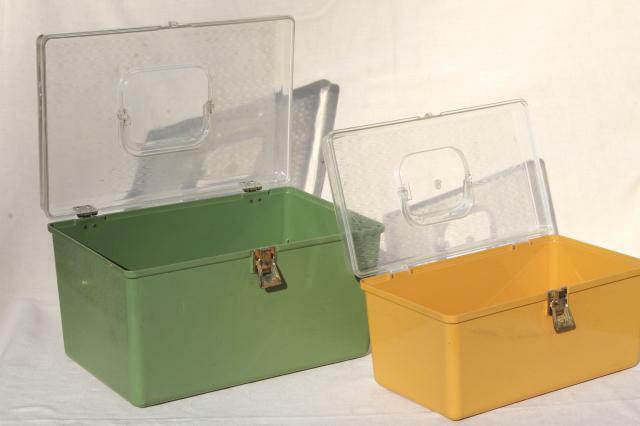 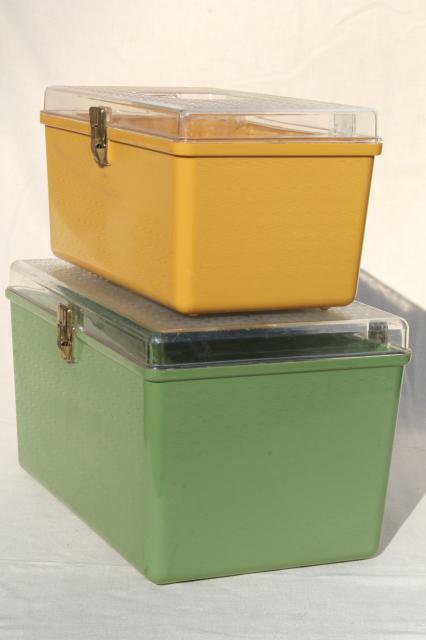 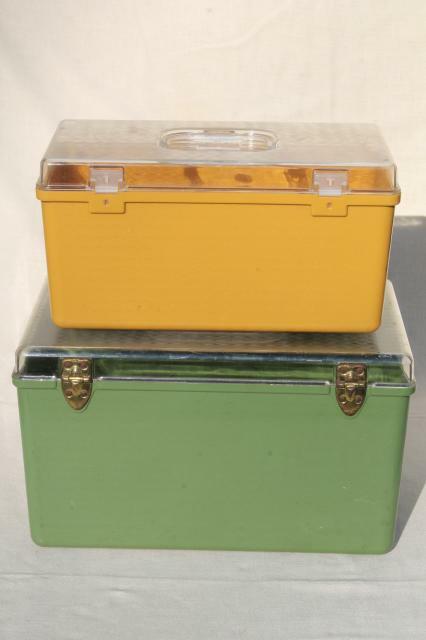 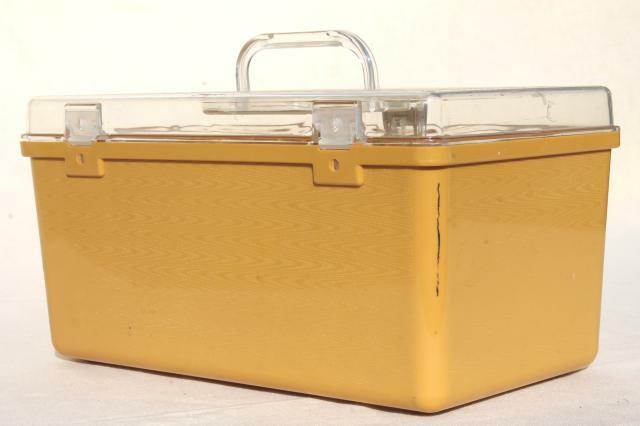 Lot of two vintage plastic sewing boxes to sort and store your sewing notions and supplies. 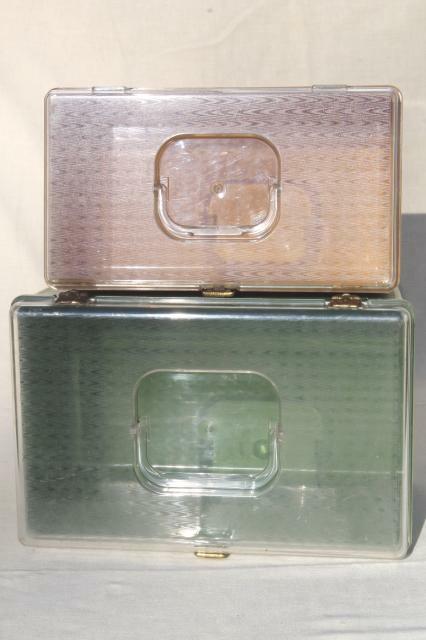 These are both in good clean condition, gently used. 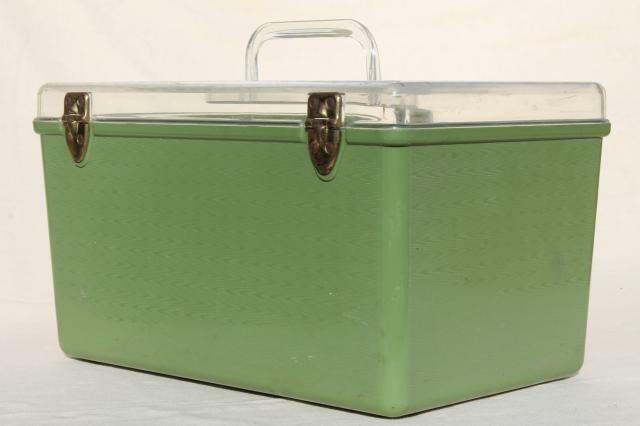 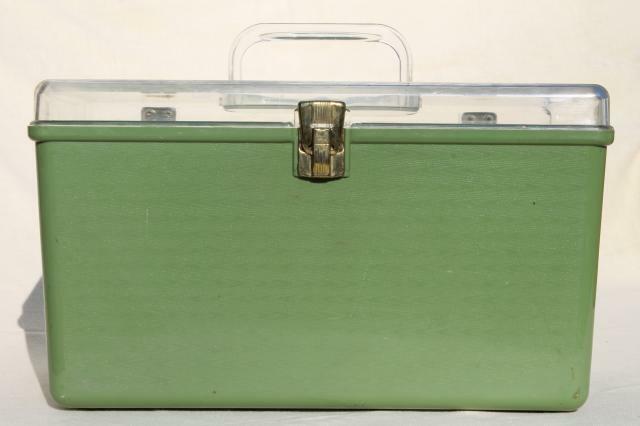 The green sewing box measures about 14" x 9" x 8 1/2" tall overall. 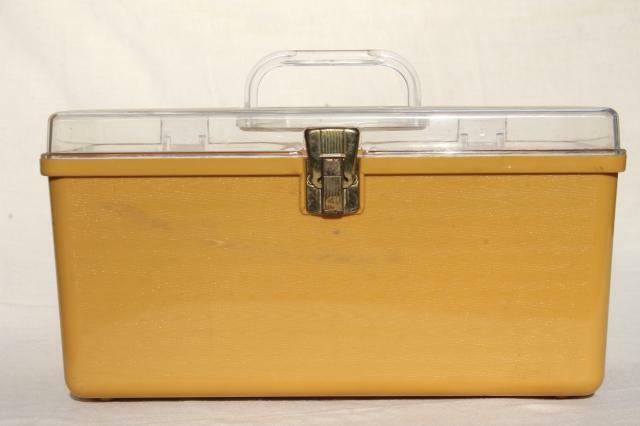 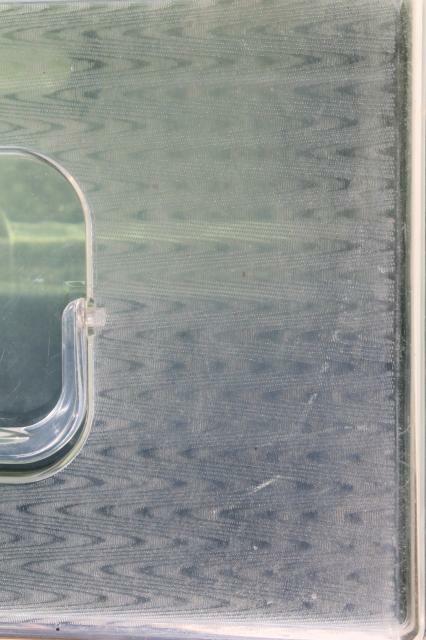 The gold sewing box measures about 12" x 7" x 6 1/4" overall.